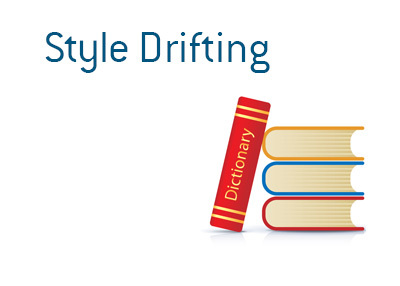 Style Drifting - What Does It Mean? What does the term "style drifting" mean in the world of investing? What is meant by "style drifting"? "Style drifting" occurs when a money manager deviates from his usual style of managing money. For instance - let's say that a money manager has made his name from shrewd investments in value stocks. For that reason, you have decided to give him some of your money to manage, as you view his style of investing as fairly market neutral. Over the course of a couple of years, the markets rocket higher thanks to low interest rates. High multiple companies are in favor, while "value stocks" are largely out of favor. Your money manager decides that he is going to wade into these higher multiple stocks. Over the course of a couple of months, he takes positions in several high profile Internet companies in order to enhance the returns of his fund. This is "style drifting", as he is deviating from his previous strategy or asset class. If the markets suddenly trend lower and higher multiple stocks get hit badly, you will likely not be too happy to hear that your money manager has taken it upon himself to wade into more expensive (from an earnings multiple perspective) stocks.